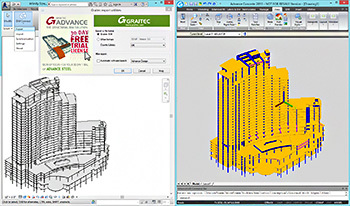 GRAITEC, an international BIM and CAD software developer for AEC, and Autodesk® Platinum Partner in US and across Europe, is pleased to announce that Autodesk® Advance Steel 2017 and Autodesk® Advance Concrete 2017 are now available from Autodesk. 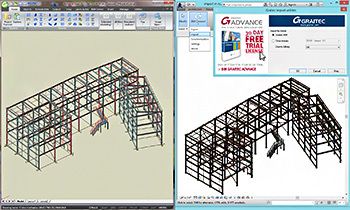 Autodesk® Advance Steel 2017 provides new features and enhancements to help improve productivity and usability whilst creating your fabrication documents more easily with tools to support a connected BIM workflow. 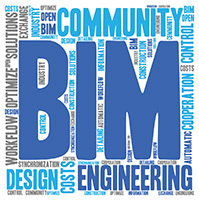 With new connections and profiles for international suppliers, more tools for cleaner documentation, options to manage Fabrication status data, and the ability to synchronise not just the structure but also the fully parametric steel connections with Revit, not to mention the ability to publish, share and collaborate with BIM360 using native Advance Steel drawing format – and whilst remaining connected to the source Advance Steel 3D model, Autodesk® Advance Steel 2017 delivers a more mature solution to create better coordinated designs and documentation. Whilst Autodesk® Advance Concrete 2017 provides a more robust environment for completing and detailing concrete projects with links to Autodesk® Revit® for enhanced BIM centric workflow that supports an end-to-end solution. Advance Steel is complimented with the GRAITEC PowerPack adding more functionality and further automating common repetitive tasks. PowerPack for Advance Steel can be downloaded directly from the Autodesk App Store as a free trial. 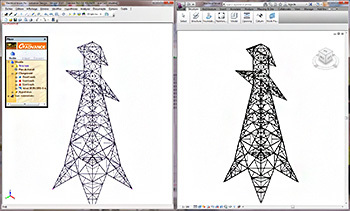 Steel Structure Designer – Create, adjust and configure complete structures of all shapes and sizes in minutes. Ball Post Railing Designer – Adding ball post railings in Advance Steel is quick and simple with this dedicated ball post railing app. PowerPack for Revit – over 40 new tools dedicated to reinforced concrete modelling, editing and documentation. GRAITEC announces the User Meeting organized by its Czech subsidiary on December 11th, for the Advance users from Czech Republic, Slovak Republic, Serbia, Croatia and Slovenia. The meeting will take place at hotel VIVALDI, Jihlava, Czech Republic. The purpose of this meeting is to present customers with the new functionalities and improvements of Advance Steel, Advance Concrete, Advance Design and other Graitec products. And most importantly, to demonstrate the concept of BIM data exchange between architecture, steel and concrete structures and MEP. Throughout the meeting, customers will be able to consult with our experts regarding the future of all products, and even find out about our current special offers. More than 500 Advance customers were invited to this event and an online version of the meeting will be available, for anyone that cannot attend. For more information contact Graitec CZ. Graitec SA and Autodesk, Inc. have signed a definitive share purchase agreement allowing Autodesk to acquire Advance Steel and Advance Concrete product lines. This acquisition is expanding Autodesk’s BIM portfolio for structural engineering. The transaction is expected to close during the 4th 2013 quarter. 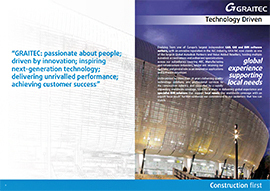 Until the completion of the transaction and importantly thereafter, GRAITEC will continue to sell Advance Steel and Advance Concrete, as before, as well as all the related services (maintenance, training, hotline) with its subsidiaries and resellers. Moreover, GRAITEC continues its development process, sales and technical support for the entire range of existing products.